As wedding season approaches, I've been thinking more and more about my relationship with wedding photography. I truly love photographing weddings. Weddings are the epitome of a beautiful day: beautiful gowns, handsome tuxes, spectacular flowers, romance, sparkle, bling, candles, and above all else love. Weddings are filled with love. Not just the love of the couple, but the love that everyone around them, friends and family, have for them as well. It is truly breathtaking and a wonderful place to be. How lucky am I to be able to share in and immortalize such amazing days? There is a certain magic in wedding photography. A picture may be worth a thousand words, but more often than not wedding photos are worth more than words could ever describe. 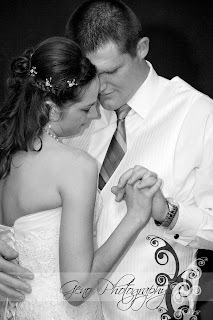 I feel so honored to be trusted by all of my couples to capture their day: the people, the emotions, the moments. It is big responsibility, but I absolutely, whole-heartedly love it.